Remotely monitor your chiller’s performance. Any brewer will tell you that your tank cooling system is one of the most important pieces of equipment in the brewery for producing consistent, quality beer. It’s vital to the knockout, fermentation, clarification and packaging processes. 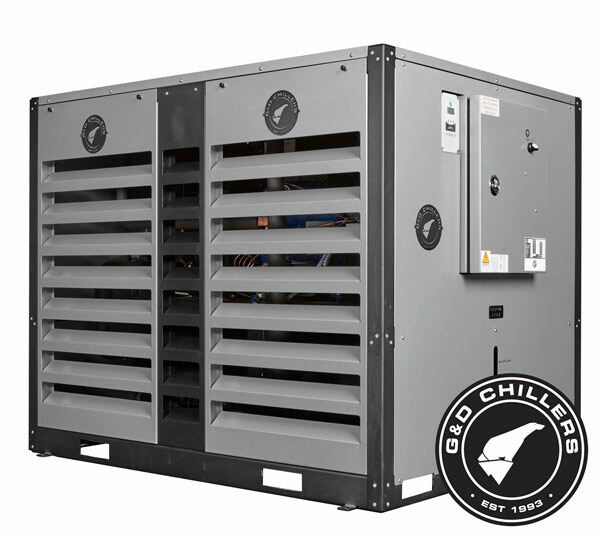 Chances are, the last time you thought about your chiller was the last time there was a problem with your cooling system. Having a watchdog on such a vital system should be a standard operating procedure. Do you know how hard your chiller is working? Are all the operational parameters within normal bounds? 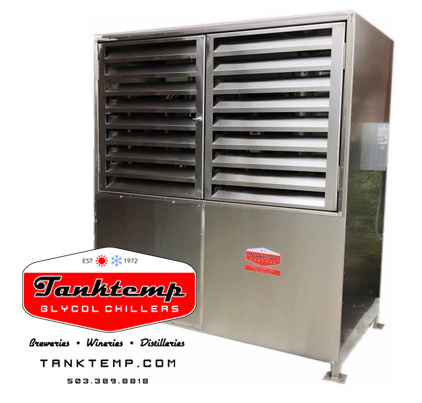 Make sure you know about chiller issue before it affects your production. 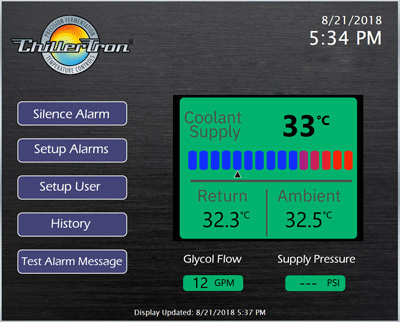 Chiller Monitor by ChillerTron is an early warning and monitoring system that sends alert notifications directly to your phone and email for coolant system problem conditions. Just apply power, plug in internet, and sign into the website to get started with a factory installed Chiller Monitor in your G&D or Tanktemp chiller. Field installation requires sensors be mounted in chiller or coolant piping. Just a $25/month subscription allows all users in your organization 24/7 access to data and alarms.